Treat each investment decision as if it is a matter of life-or-death, because it is, says Avinash Luthria. A series of large and bad personal investments can wipe out most of us. Think crypto currencies, structured products, peer-to-peer lending, and most angel investment opportunities. So, how can we avoid poor investment opportunities? There are several similarities between personal investing and private equity (PE) funds, which invest in unlisted mid-sized companies. PE investing techniques can provide some useful lessons. Both personal investing and PE investing force one to accept relatively concentrated portfolios, deal with significant information asymmetry, and make medium-term decisions that are difficult to reverse. Mutual fund managers, on the other hand, can have relatively diversified portfolios. Listed companies are required to provide information uniformly to all investors. And most decisions are easily reversible. For the sake of brevity, let's consider only the first similarity, that is, concentrated portfolio. Due to an individual's limited net worth and finite mental bandwidth, he can invest in only a limited number of asset and sub-asset classes, such as domestic equities, international equities, residential real estate, gold, debt mutual funds, and a few bonds and deposits. Hence, a significant portion of a person's net worth is invested in each of them. Unlike an early-stage venture capital fund, a mid-sized PE fund will have just 10 to 15 investments. If a couple of them get wiped out, the fund will underperform. Most mutual fund asset management companies (AMCs), on the other hand, have a large number of funds, possibly to hedge their track record and reputation. Each of the funds invests in 25 stocks or more, so no single investment is critical to the AMC. The lessons that some competent PE investors have used to minimise their risks can be applied to personal investing as well. Here are seven of the most important questions they ask when evaluating an investment. These criteria are explained below using personal investment examples and specifically, credit risk debt mutual funds, where investors have invested a humongous Rs 82,000 crore. Do your own due diligence, or else pose detailed questions to a person you trust, who has done the due diligence. Ask yourself: Do I sufficiently understand how credit risk funds work? If a bank makes a reckless investment, the shareholders will suffer before you, the depositor, suffers. 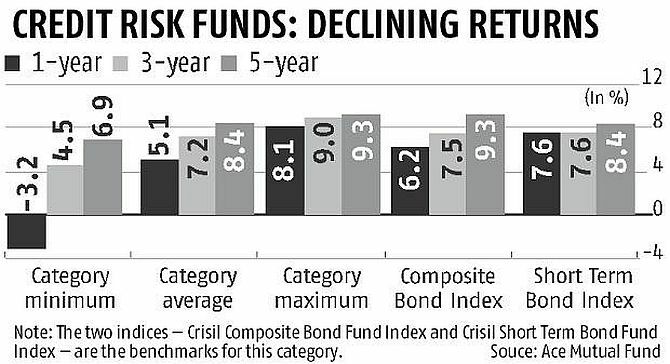 But if a credit risk fund makes reckless investments, the AMC will not have to bear any of the losses. The investor will end up paying a steep price. Do I trust the DNA? It's heads, the AMC win, through its fees, and tails, you lose. So, do you trust the DNA of this fund house? Has it, in the past, displayed through its actions a high level of propensity to protect investors' interests? What are the weakest links in the chain? Every investment opportunity has a few weak links that the investor needs to identify. In the case of credit risk funds, for instance, there is no active market for most of the papers held by them. So, net asset value is a relatively less reliable measure in their case. It is not possible for a small credit evaluation team to evaluate and monitor the large number of companies that mutual funds generally invest in, across various schemes. Some AMCs can easily afford to have credit evaluation teams that are twice or thrice as large as the ones they actually possess. Some of them cut corners to boost their profits. No credible bank would grossly understaff its credit evaluation team. Do AMCs do so because bad investments can be hidden for many years? Or, what do I believe to be true that could actually turn out to be false? Many Indian credit rating agencies give generous ratings to companies. There is an inherent conflict in the rating model: the companies getting rated pay the rating agency's fees. Companies also indulge in rate shopping, that is, they get many agencies to rate them and use the three best. S&P rates the Indian government itself as 'BBB-' (triple-B minus), whereas some Indian rating agencies rate non-banking financial companies, which are not the strongest, as AAA. To what extent then can you take domestic credit ratings at face value? Does the investment structure hide the asset's underlying weakness? During a wave of defaults or a stock market crash, many investors may redeem their investments in credit risk funds. Since the papers these funds invest in are illiquid, the fund may struggle to meet redemptions. Even if the fund can temporarily borrow a limited amount from banks to meet redemptions, it will eventually have to sell its holdings at a deep discount. This will hurt investors' returns. Thus, the poor quality of underlying assets can hurt your ability to exit and your returns. Ask yourself if a better option is available currently which you can pick. Instead of investing in credit risk funds, you would be better off investing in debt mutual funds that take zero credit risk, while marginally increasing your allocation to equity mutual funds. Equity mutual funds are usually more transparent than credit risk funds. Also, the investment logic is clearer if you split your investments between safe and risky products, instead of investing in a product like credit risk fund that combines both safe and risky investments. If no better alternative is available currently, even doing nothing is a better option than going with a poor one. 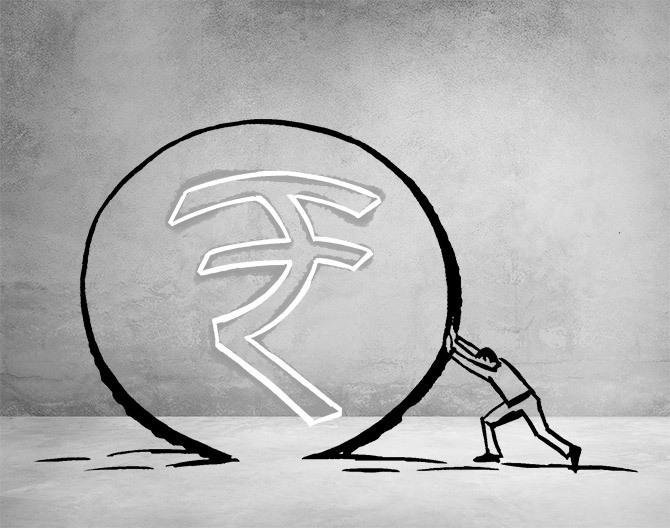 You may be better off leaving the entire amount in debt funds that take zero credit risk or even in a fixed deposit temporarily. These seven questions can be applied while evaluating other investment options as well, such as debt mutual funds, real estate, early-stage venture capital funds, and so on. In essence, follow the private-equity approach to personal investing and treat each investment decision as if it is a matter of life-or-death, because it is.